Joan-Marie Powell was the former Managing Director of GraceKennedy Money Services Limited until Dec 2013 when she retired. Powell’s technical insight and operational expertise strengthened the company’s culture of innovation which saw GKMS expanding into new markets and extending its service portfolio, reaching seven other markets in the Caribbean. In 2007, Powell co-led the acquisition by Western Union of twenty-five per cent equity stake in the company. Prior to her appointment as Managing Director in 2006, she was responsible for the company’s international expansion and relationship building with key stakeholders. Her career began at Citibank Jamaica after graduating from Immaculate Conception High School. Under her stewardship, GKMS copped many top Western Union awards, including Agent of the Region and Outstanding Customer Service. Although Powell attributes the success of the company to team work, her track record is well known. In 2000, she was asked by the Dean of the Western Union University to assist in setting up a training unit aimed at improving the product offering and service quality delivery of the brand worldwide. In 2001, she became a member of the board of directors of GKMS. She was a member of the Board of Directors of Aerotel Ltd (2011-2016), a subsidiary of Jamaica Civil Aviation Authority, that installs and maintains telecommunication, electronic, and data communication for the Authority. Miss Powell also acted as the General Manager for the company from January to May 2015, where she was able to work with the board to develop operating procedures in accordance with the governing laws and regulations and was successful in recruiting a General Manager for the company. 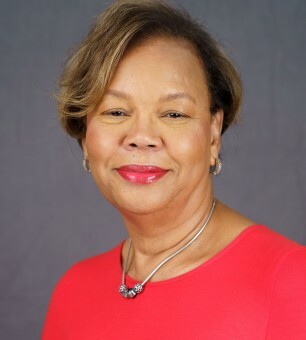 Miss Powell is a member of the board of directors of the Immaculate Conception High School as well as Grace and Staff Community Development Foundation. She holds a BSc. in Management Studies and an MBA, specializing in the management of technology, from the University of the West Indies. Ms. Powell is the Chairman of the Company’s Remuneration Committee and a member of the company’s Audit and Corporate Governance Committees. She is a Justice of the Peace for the Parish of Kingston and she has an avid interest in sports and is an active member of the Kiwanis Club of New Kingston.